NYX blush in Natural is the one I picked up from my Cherry Culture Haul. Its a really pretty baby pink shade that looks just as its name, Natural on your cheeks. Its not too overwhelming on fair skin even tho its a pink shade it doesn't make me look flushed. 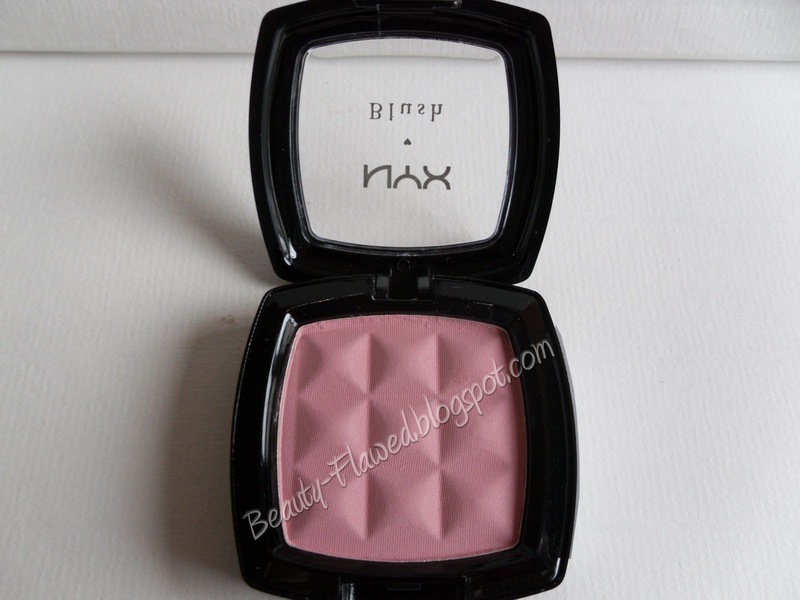 The texture of this blush is soft and silky, it applies nicely and lasts until you take it off. It also has no strange smell to it which is a plus in my book. I guess I don't have too much else to say about this blush other than I like, its a good blush for a great price and I'd buy more in other colors. Cherry Culture is also having a Halloween Sale that ends tomorrow if any of you guys are interested in trying them out! The color is really light and would look really great on fair skin tones! Awesome! Glad you got to get in on the deal!